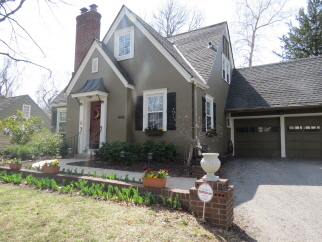 Here's your chance to live in desirable Fairway! Updated and move in ready, this home offers a bedroom and full bath on the main level; three bedrooms including the master suite on second floor; refinished hardwood floors, newer windows, zoned HVAC and attached 2 car garage. Chef's kitchen opens to comfortable family room; the backyard has plenty of room for active kids and a brick patio with pergola for entertaining. Stone basement offers full bath, easy to finish. Excellent location and Shawnee Mission Schools! Interior Features Harwood floors, new windows, full stone basement, updated kitchen and family room, bedroom and full bath on main level; master bedroom on second level, zoned HVAC, laundry/mudroom on main level. Exterior Features Beautiful large fenced yard with brick patio and pergola; attached two car garage, stucco exterior, deck off master bedroom, tree lined street with friendly neighbors! Additional Features and Amenities Shawnee Mission school district, basement has updated electrical wiring and full bath--can easily be finished.